Crystals have been used for their beneficial and healing properties all over the world since ancient times. They can be used to help and support us in almost any situation imaginable, whether it is physical, mental, spiritual or emotional in nature. The positive benefits of crystals can help anyone who wishes to work with them regardless of age, gender, social position or place of residence. Crystals used in healing do not need to be large or expensive specimens in order to be affective and no additional equipment is required. 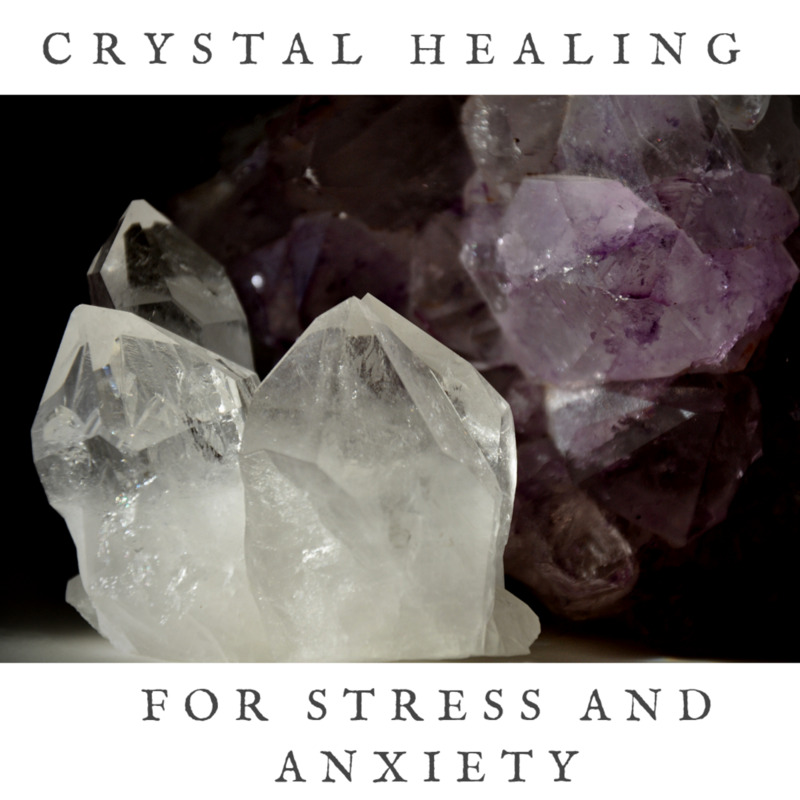 This makes crystal healing a great natural therapy for anyone who has a tight budget or is short on space. It is also a very discreet therapy that can be used equally well at work or when you are out and about as well as at home. As crystals are small and are often owned purely for their beauty or as collectable items they can be more easily concealed from anyone who may be opposed to or not understand the use of alternative medicine and therapies. 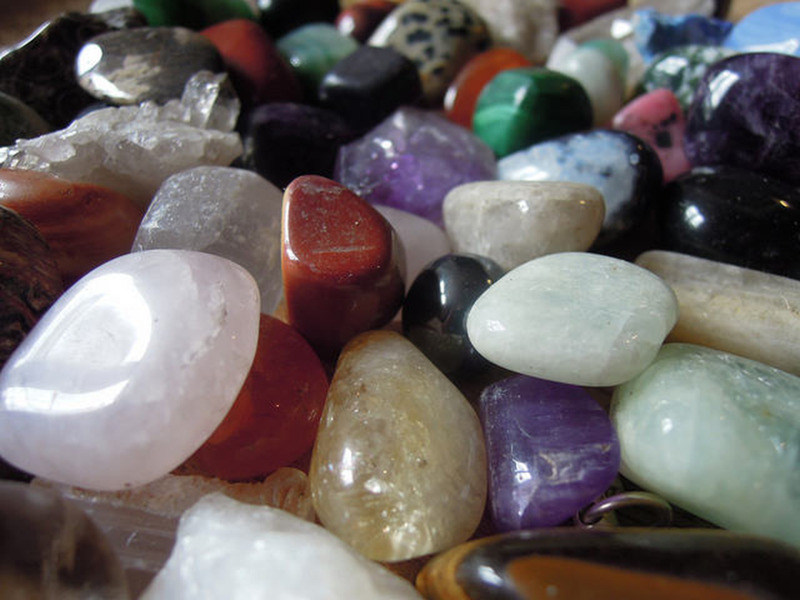 When used in healing, crystal require healing to remove any build-up of negative and stale energies. This can be carried out simply by placing the stone in moonlight overnight. Many people choose to do this at the full moon as this is believed to be the ideal time, but any night is fine. Other simple ways of cleansing crystals include burying them in soil or washing them in running water. 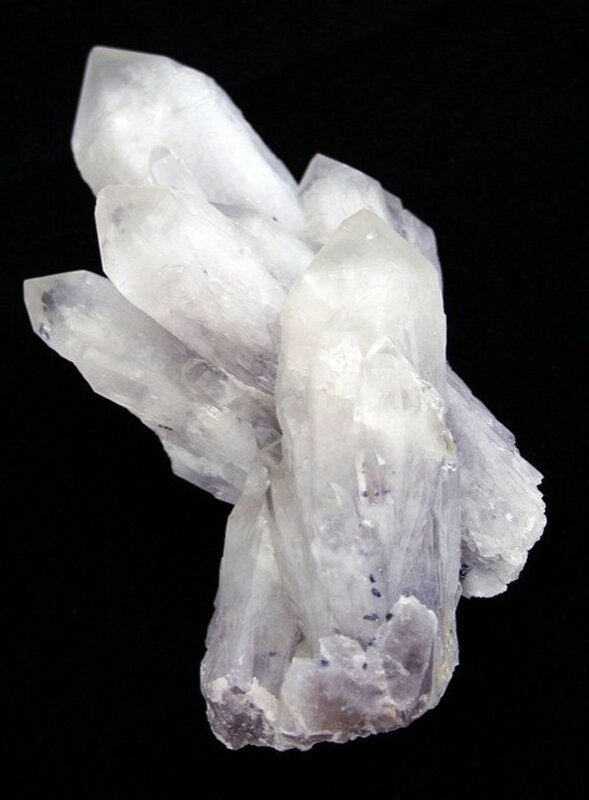 Care must be taken not to use these methods with crystals such as selenite that can be damaged by moisture. Caution must be taken as small stones could present a choking hazard. Small children and babies should not be left unattended with crystals and when being used, they should be placed out of reach or out of sight. 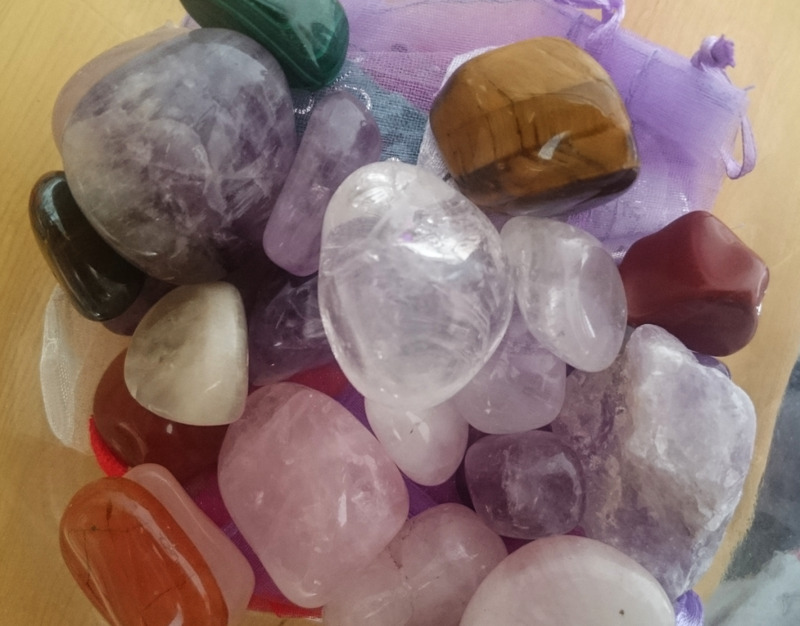 It's gentle and unobtrusive nature of crystal healing makes it an excellent therapy for children and babies. Children often have a natural affinity and love for crystals and rocks of all kinds and may be naturally drawn to the stones that will benefit them. This love and interest can be developed by allowing them to handle crystals from a young age and begin their own collection as they grow older. As well as being enjoyable and soothing to children learning about crystals and other minerals can provide educational opportunities and perhaps lead on to other related interests such as geology and archaeology. Children can benefit from any variety of crystal but as with adults you may find that they are more attracted to certain types of find some stones unpleasant. This can be particularly true of crystals that have a very high vibration or strong energies that may feel overwhelming to children. A child will not come to any harm from handling crystals and even young children can be surprisingly accurate in choosing the correct stone for their needs. If you wish to allow a child to use crystals tumble stones are a good choice as they are less likely to break or crumble. Tumble stones are crystals that have been polished and smoothed and are available in many sizes. They are much less delicate than some other types of crystal, such as clusters and so are great for frequent handling. If you wish to allow a child to touch any crystals take care to choose specimens that are too large to be swallowed. Large tumble stones or palm stones are a good choice as they are easier to handle and there is no risk of smaller pieces breaking off. One way that crystals can be used with children is to place a crystal at each corner of their cot, moses basket or pram so that the energy can surround them as they sleep. The stones should be placed underneath the mattress, sheets or pram/pushchair fabrics for safety. As the child grows older the crystals can be placed at the corners of their bed. This can be done by placing the stones under the mattress for safety. Alternatively a crystal can be placed at each corner of a child’s bedroom. Using this method can make it easier from a safety perspective as larger stones can be used or they placed out of reach on shelves, as hanging crystals or in a small pouch pinned to the wall or curtains. Crystals can also be placed in any room that a child spends a lot of time. Small tumblestones or crystals chips can be sewn inside the hems of a child’s clothes or blankets or anywhere else that they can be safely concealed. For older children crystal jewellery is an option and is available in many forms on and offline. Bag charms and keyrings can also be a safe way for children to carry crystals and benefit from their energies. The gentle soothing energy of many crystals makes them excellent choices for babies. One example of this is rose quartz, which is associated with the heart and often known as the stone of unconditional love. This pretty pink stone gives out a warm energy almost like a loving cuddle which can help young children and babies feel settled while separated from their mothers. 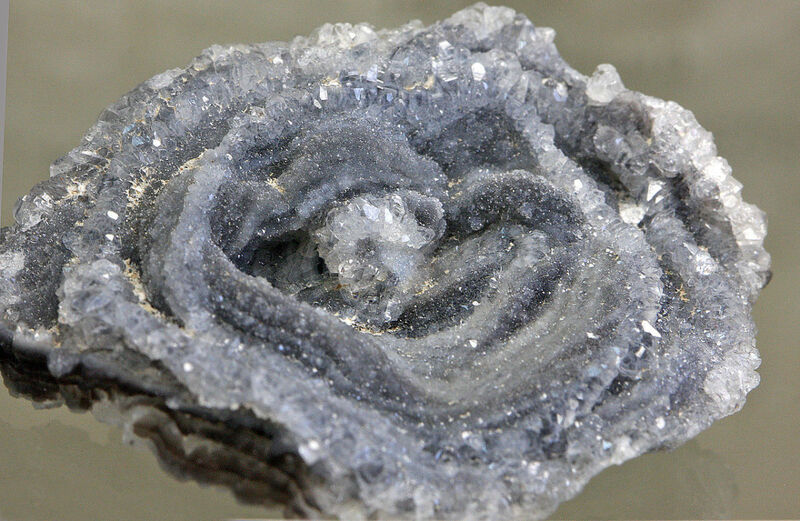 This form of quartz can be beneficial to children who have trouble sleeping or are afraid of the dark. 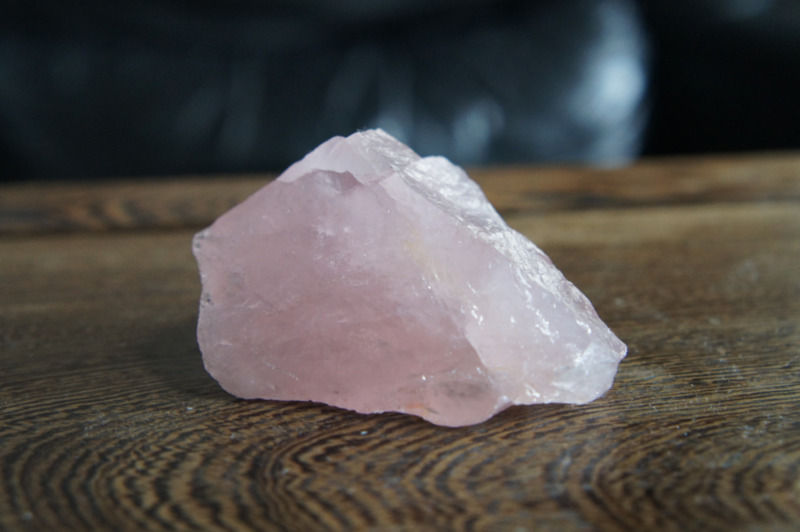 Rose quartz believed to be of great benefit to anyone who has experienced trauma or abuse as it gentle encourages a deep level of inner healing and self-love. This crystal supports through changes especially if these are not wanted by are necessary and helps increase trust. It encourages the development of a strong sense of self-worth, self-trust and seeing the beauty in yourself. Pyrite is a good stone for helping a child feel protected even when they are not with their caregivers. This crystal will reflect negative energy away from anywhere it is placed. The shiny mirror-like surface of pyrite can make it particularly attractive to young inquisitive children so this should be kept in mind when using this crystal. Also known as iron pyrite or fool’s gold, this crystal can be useful against manipulation by bullies and helps in equalling the balance of power. It is also believed to be beneficial in fighting colds and flu. 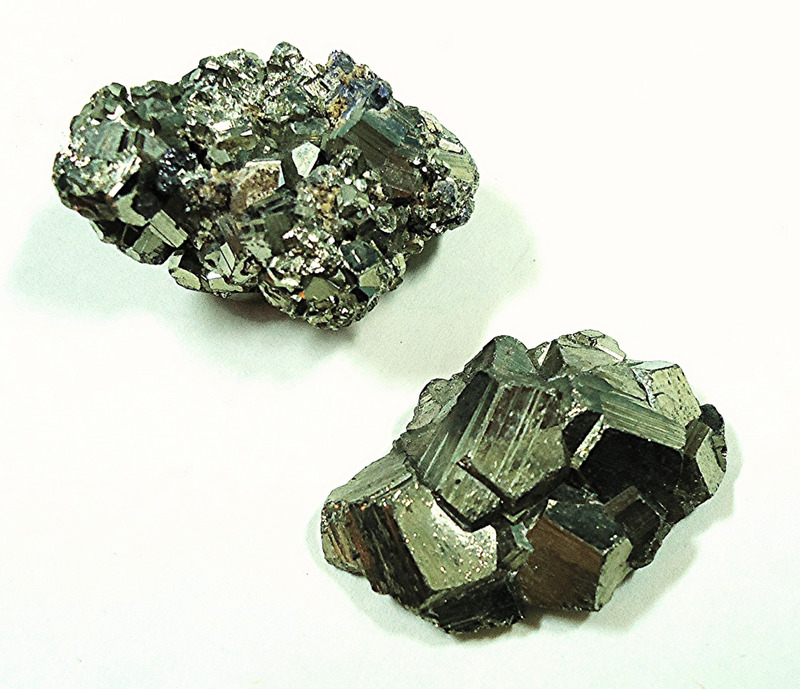 Pyrite promotes good physical health as well as emotional well-being. Traditionally this crystal is known as stone of luck and one that is great for following your dreams or helping to increase motivation. This crystal is regarded by many as a symbol of new life and it is considered to be an ideal stone for encouraging healthy growth and development. 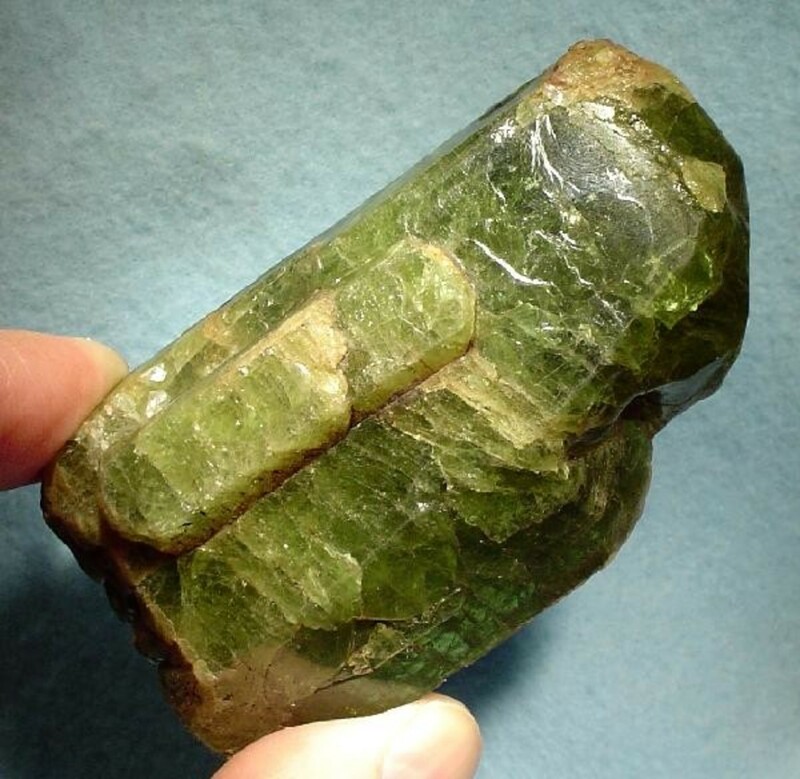 Green apatite promotes good hand-eye coordination in children and stimulates the formation of new cells. This is a good choice of crystal for any time that an all-round nourishing and healing energy is needed. It also may be beneficial for children who are clumsy or have issues connected to coordination and proprioception. Green apatite is a crystal that supports healthy bone growth and aids in the absorption of calcium and repair of the bones and teeth. This variety of apatite is thought to be a good choice for children who have ADHD or autism as it helps in calming hyperactivity, supports in social situations and aids self-expression and communication. Amber is not a true crystal as it is in fact fossilised tree resin. However this beautifully coloured golden substances possesses many healing properties. Amber has the ability to draw illness from the body and helps to calm stress. It is also believed to be of great benefit to babies during teething due to the fact that it contains a natural painkiller and has anti-inflammatory properties. It is important to note that amber should not be chewed on by teething babies as this is dangerous. To benefit from the soothing properties of amber it should be worn on the skin, preferably close to the site of pain. When buying amber jewellery for babies and young children look for the type that has each bead individually knotted. This means than in the event of breakage only one bead will come loose rather than them all being able to fall from the cord. Jewellery should not be tight but equally should not be so loose that the child can pull at it, get it caught anywhere or be able to get it into their mouth. Many parents choose to use necklaces or anklets rather than bracelets as these are less likely to be focused on by the child. When worn from a young age, many children are not bothered with the presence of their amber jewellery as it something they have grown accustomed too. Black tourmaline has long been valued as a protective talisman and for its ability to repel negative and destructive energies. This stone can be placed in the corner of the room where a child sleeps and/or spends most of their time in order to create a grounding and protective energy in the room. 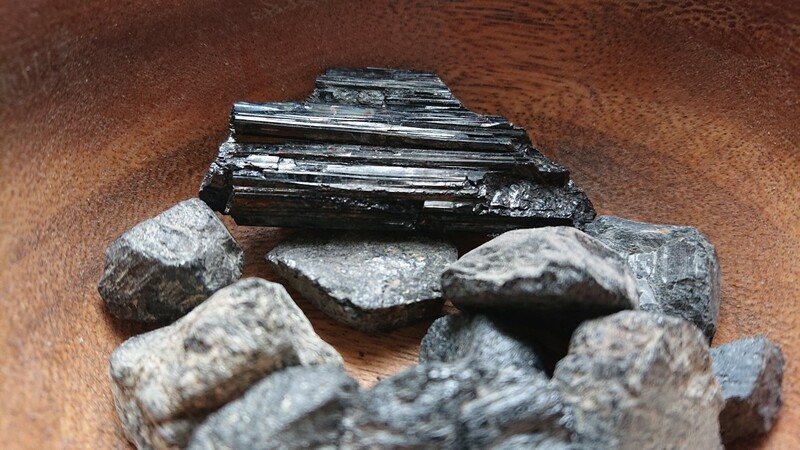 Black tourmaline can help to alleviate fears of the dark and of confined spaces. 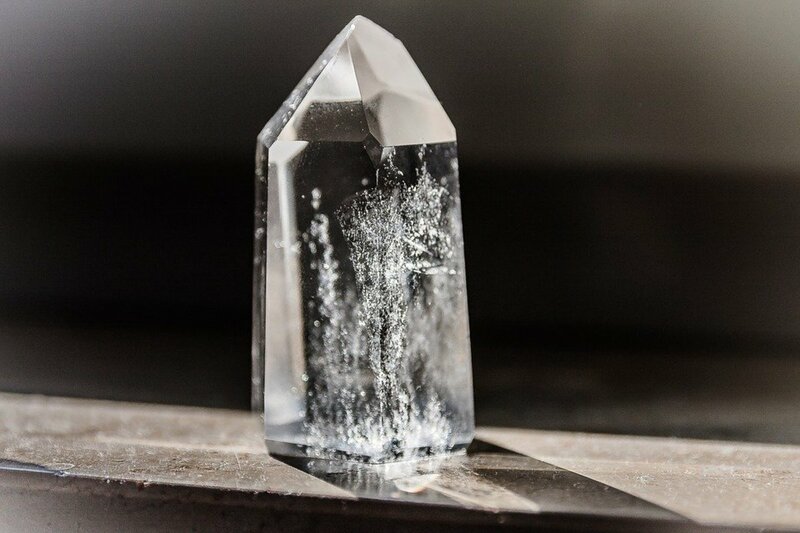 This crystal is a popular choice for shielding against electromagnetic pollution (EMFs), and radiation associated with cell phones, computers, and other electronic equipment. 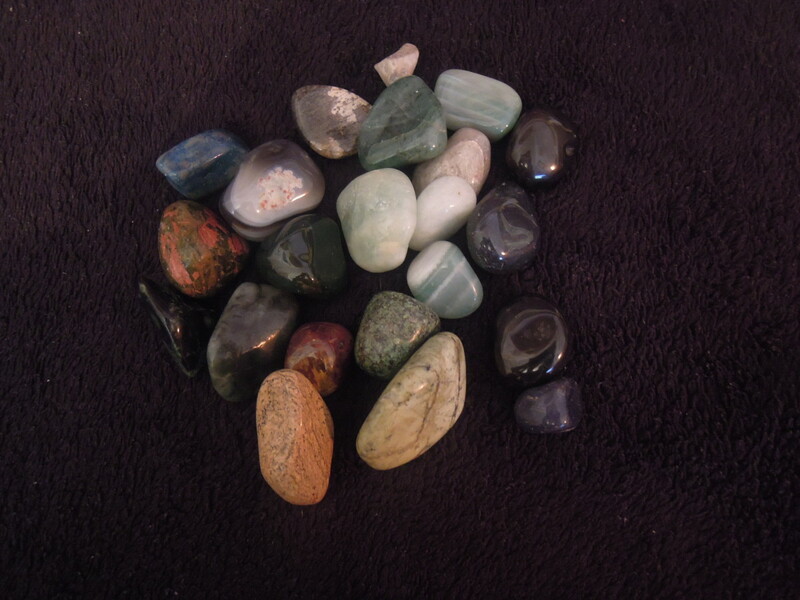 Place a piece of rough or tumbled stone in the room and cleanse regularly to keep it working well. 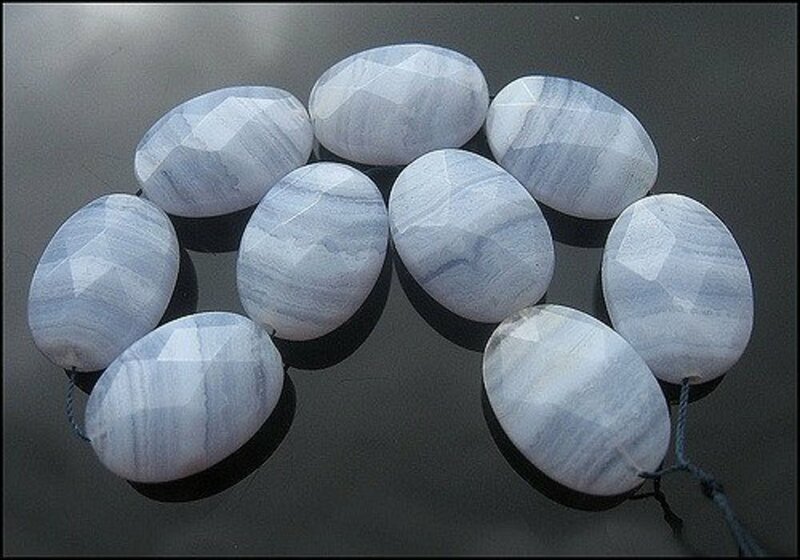 Blue lace agate is a soothing light blue stone that gives off a calming energy, making it ideal for children and babies. 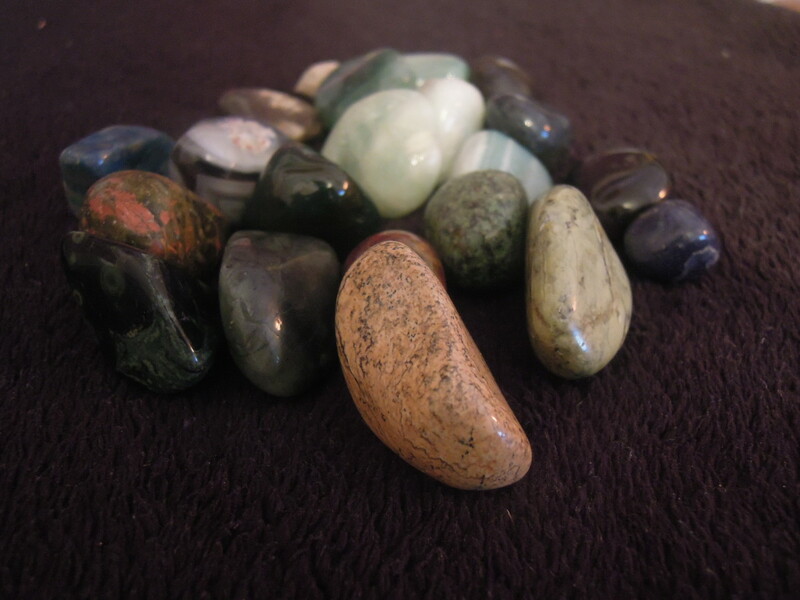 This stone provides those around it with a gentle and reassuring protective energy. It is a good choice for imaginative children and in particular children who struggle to remember what is real and what is part of their imagination and play worlds. Blue lace agate can help children who struggle with communication or need support in saying how they feel. It soothes the nervous system and can aid in calming hyperactive children. This crystal is can be helpful in quietening noisy households and encourages patience. The peaceful calming energy of blue lace agate is also beneficial in soothing anger and frustration. Chalcedony is a nurturing stone that can be found in several colours including white, pink and blue. It eases feelings of self-doubt and helps in dissipating negative thoughts and emotions. Blue Chalcedony – This variety is a good choice for creative children and helps the mind to take in new ideas. It helps in acceptance of new situations in life and boosts communication, listening skills and flexibility. Blue chalcedony is thought to help improve memory skills and to be a great choice of stone when learning a new language. Pink Chalcedony – Pink chalcedony has a positive nurturing energy that encourages kindness in anyone around it. It aids in learning new things and supports in learning new things. This crystal helps in creating feelings of empathy and brings us a sense of inner peace. Thank you for your kind comments. Please you enjoyed reading. Lipnancy, they are not my own photos this time but I have used some of my own in other hubs. 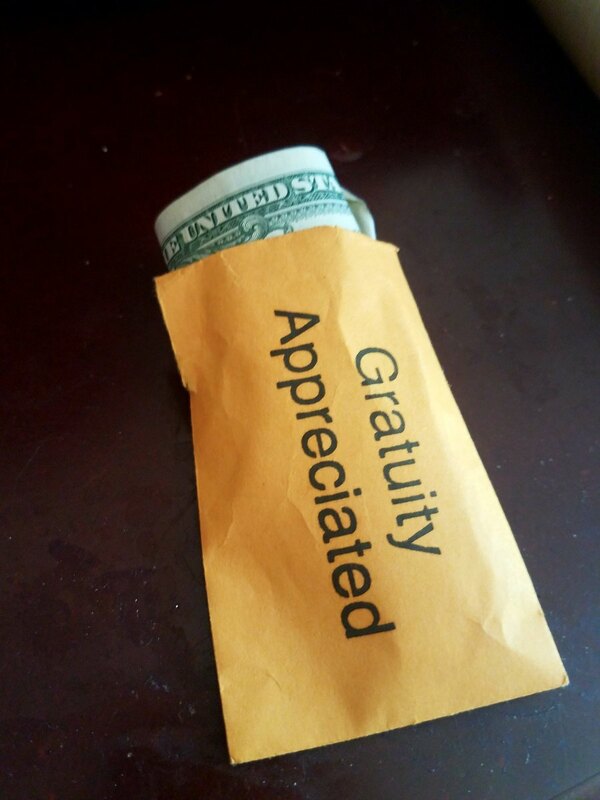 Thank you floating mind. I have quite a few other hubs on crystal healing and also how to care for crystals in order to get the best out of them. Very nice hub about crystals. I have heard of crystals used as healing objects before, but I had not thought of them as something that could be used with babies. I like learning new things, and you have shown me something new. I need to read more about crystals. Oh look ... you are the go to person for healing crystal information. To borrow a line from the movies ... I'll be back! Thanks for the enjoyable hub. Well written and very interesting hub, beautiful photographs, they are all very intricate in their simplicity. I love the pictures, are they your own crystals? 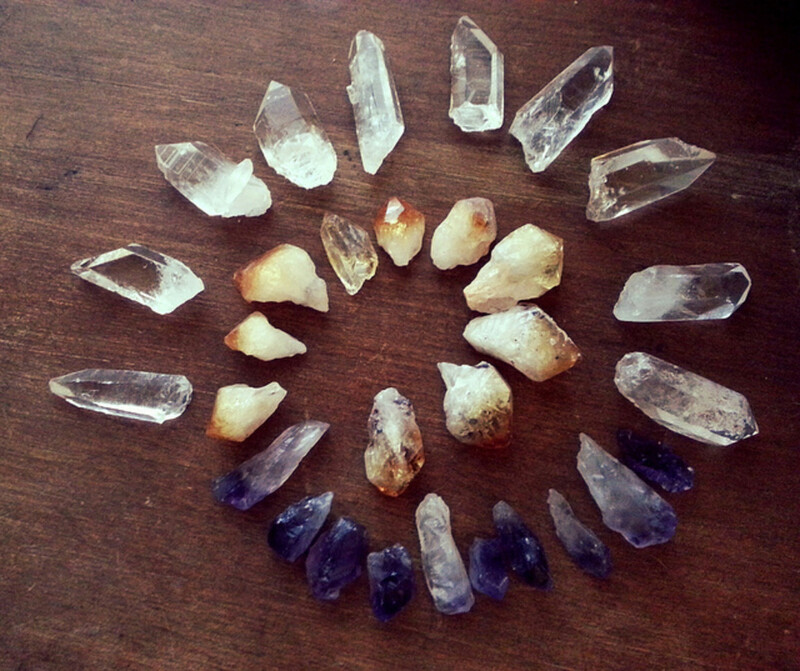 Babies and children love crystals. It is amazing to watch children play with them.